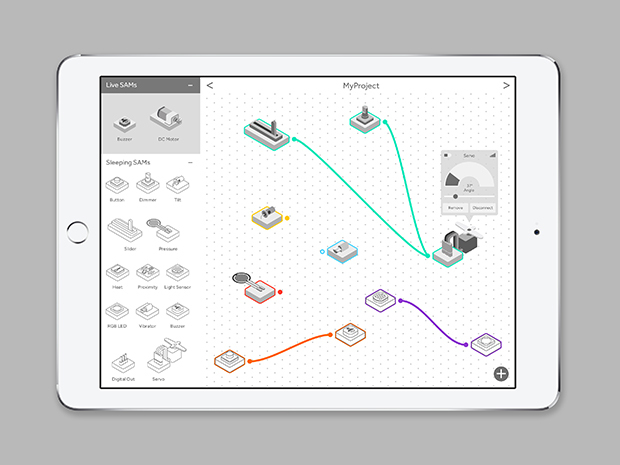 Pentagram has branded internet of things product SAM giving it a look which suggests it is “always doing, sensing and reacting”, like the product. 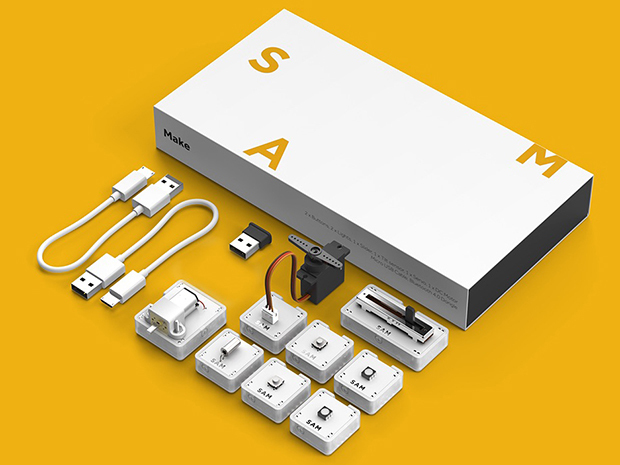 SAM is made up of a series of building blocks, which can be controlled by an app and manipulated as inputs such as pressure or heat sensors, or outputs such as lights or motors. 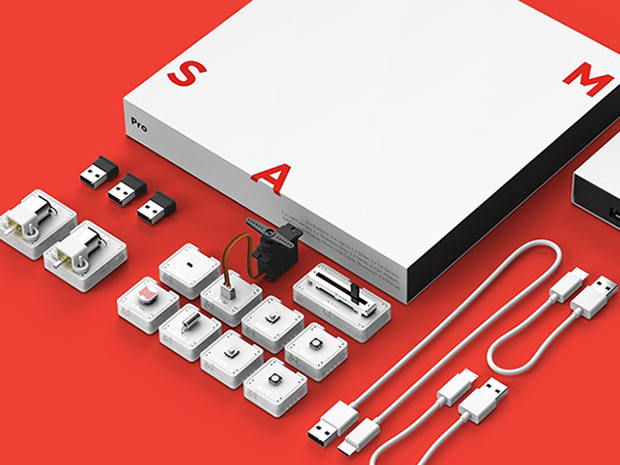 The physical puzzle pieces that make up SAM connect to a digital interface, which simplifies coding making it relatively easy for users to make things like vacuuming robots, personalised doorbells, responsive shoes, smart pillows, shirts with built in cooling fans. The product was conceived by Joachim Horn in 2013 when he was studying for a masters in engineering at Imperial College London. It came about during a workshop organised by Weil at the university. As the idea grew into a business Pentagram’s branding services were enlisted and Map was brought in to hone the product design. 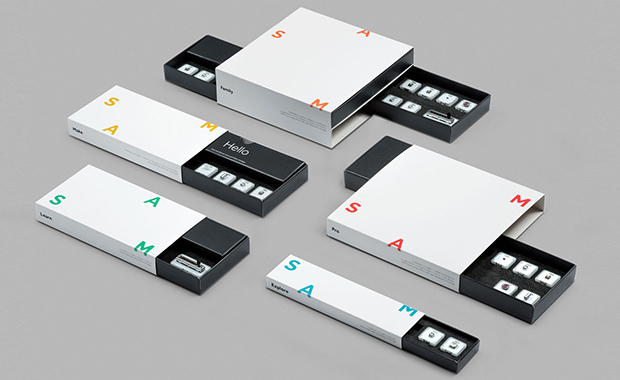 Willer’s team collaborated with Map on packaging, app interface and colour palette and looked to bring a coherence between digital and physical. The typography has been made as simple as possible so that “character can come from the imagination of the maker and so they can build their own story.” according to Willer. What is it that makes somebody a designer? Love the product. Weirdly, I prefer the application in print, than digitally! I find the animation a little frustrating.